While I am working on Episode 4 of the cutting the cord survival guide, I thought I take a moment to highlight a great resource on the web brought to you by TheDigitalLifestyle.com. 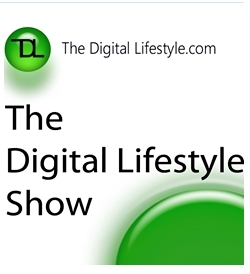 Specifically I'm talking about The Digital LifeStyle Show, a weekly podcast hosted by Ian Dixon on a wide variety of media technology, trends, products and personalities. Last week I had a great time talking with both Ian Dixon and Garry Whitaker from the show. You can listen to show #274 here. I got a chance to share some of my inspiration for creating this blog among other topics. Our Q&A begins at about 18 minutes into the show. I hope you enjoy it. BTW: The show now has a new name (formerly called "The Media Center Show") and has been going strong for a number of years now. As the show is based in the UK, you also get a refreshingly international view of US and non-US players in the media space (e.g. like LoveFilm a NetFlix-like service based in England). I actually discovered their show when doing a bit of research into remote access applications for Windows Media Center. They had interviewed the author of Remote Potato (a great Media Center add-on that I highly recommend).